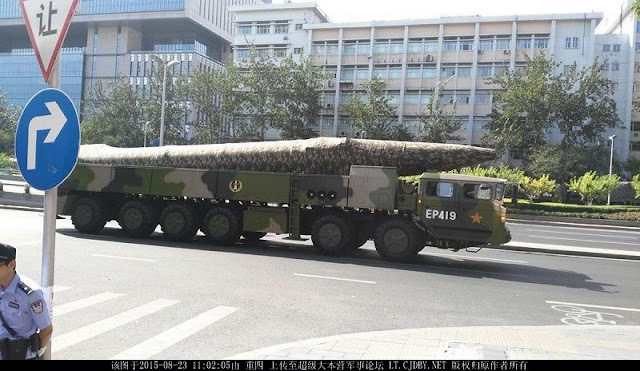 The People's Liberation Army's DF-26 missile is an intermediate-range ballistic missile (IRBM) without peer in the world, the Beijing-based Sina Military Network claims. International standards consider guided missiles to be IRBMs if they have a range of more than 3,000 kilometers. Due to China's geopolitical considerations, however, the PLA only considers a missile to be an IRBM if it has a range of greater than 4,000 km. China's first-generation IRBM is the DF-4, which represents a number of breakthroughs in weapons technology such as multi-stage rockets, warhead heat resistance, high-altitude ignition engines and inertial navigation, the report said.